I want to change the Terminal font to look like in the Mac terminal. 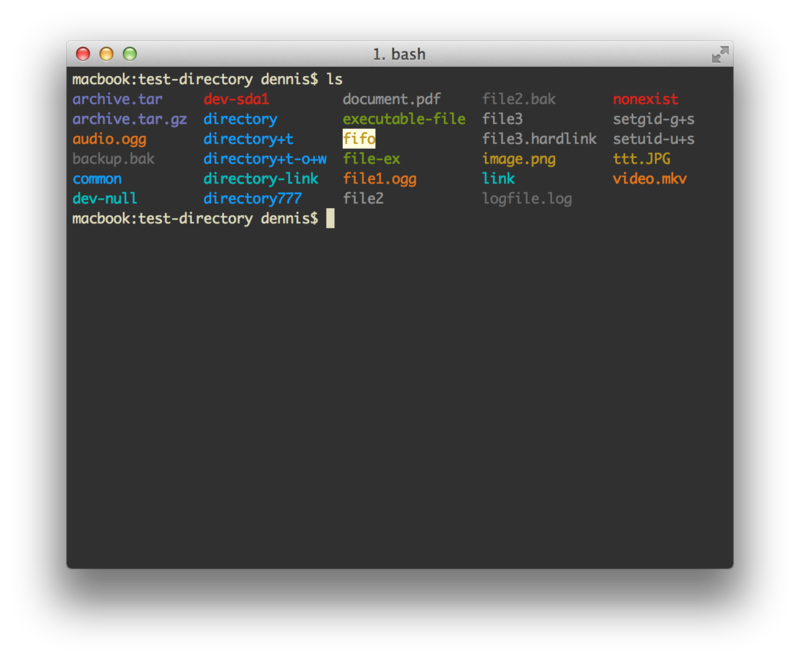 I want to change the color scheme to be like the Mac terminal color scheme. 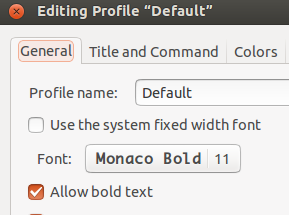 Note that I don't want to change the Ubuntu theme. I use Unity with default theme, but I want to change only the terminal settings because it's the most used application by me. Warning: You may have issues with this font in browser. This is discussed here. ...where terminal-color-scheme.xml is the name of the XML file that contains the content above. Most of us work with a shell prompt. By default most Linux distro displays hostname and current working directory. You can easily customize your prompt to display information important to you.Prompt is control via a special shell variable. If you want to add other things like date and all to prompt let me know i will add other informations. and and change the the font and size as per to your disire. $ export PS1="\e[0;32m[\u@\h \W]\$ \e[m "
Change the color code as per to your desire from the table shown below. That's what all i know , I dont know how can you change it for patterns as show in your question.. Extra advice - For exactly making it looks like mac use http://www.noobslab.com/2013/10/mac-os-x-mbuntu-1310-pack-is-ready.html . The font, you will need to find out what font the mac osx terminal uses and get it installed (if not already in Ubuntu) and then you can set it using the preferences in Terminal. Yes, all this can be done but you will need to do some configuration. As with all things, keep back-ups of the original files, just in case. Not the answer you're looking for? Browse other questions tagged command-line themes fonts mac gnome-terminal or ask your own question. 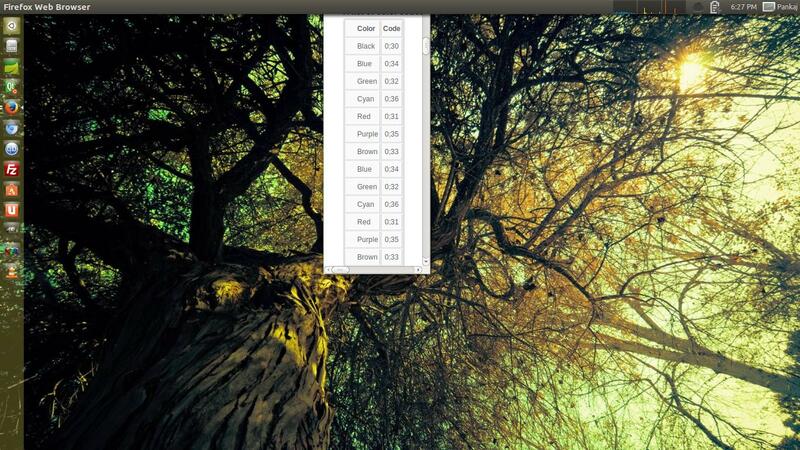 What package provides the color scheme for the wifi widget with the Oxygen Desktop Theme in Kubuntu? 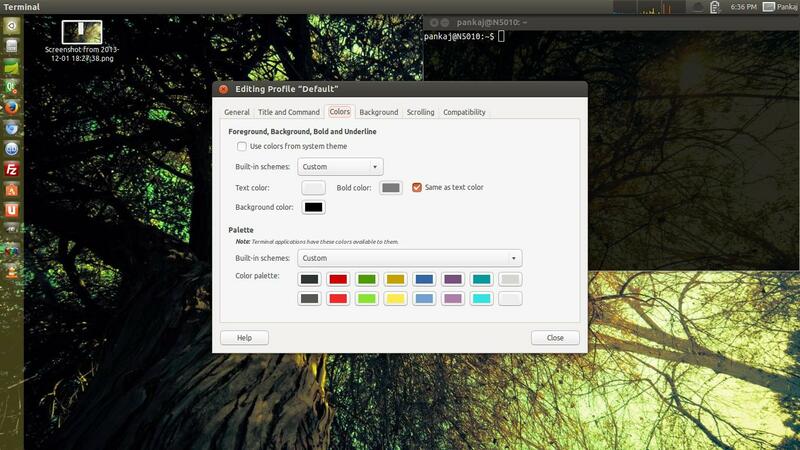 How to install mac os theme for Ubuntu? How do I get the Matrix theme colors (Lime-Green text over black background) on the Terminal? How to set built-in color scheme for gnome-terminal via CLI in Ubuntu 16? Blur Theme mac os like?